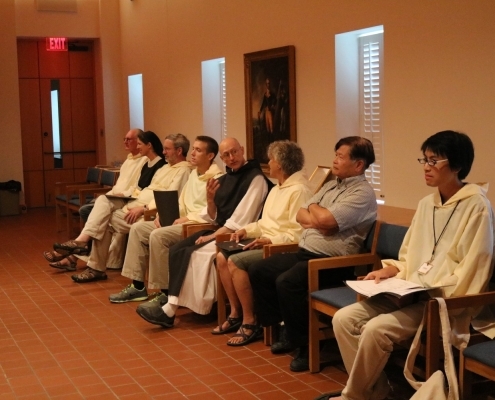 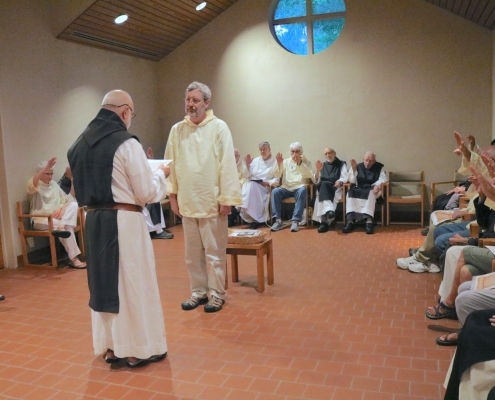 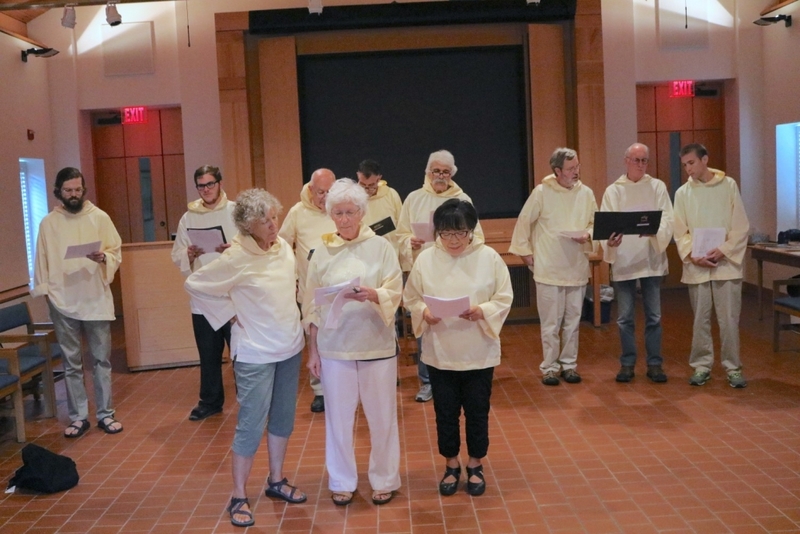 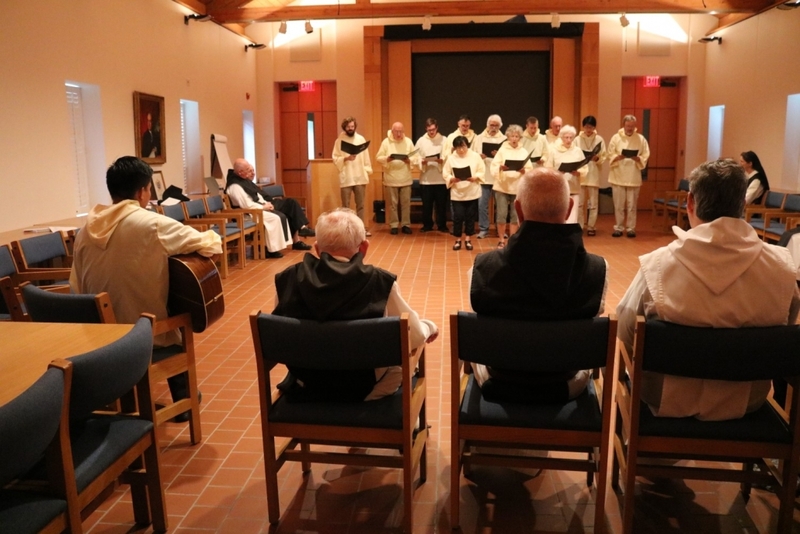 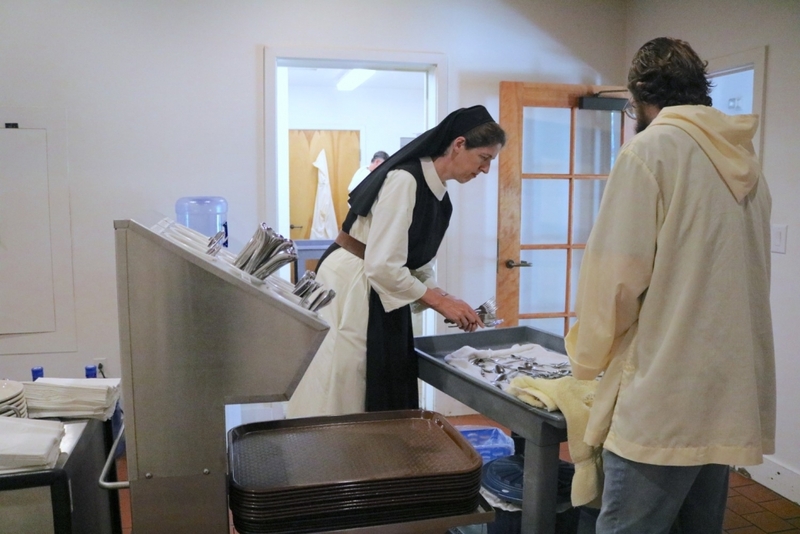 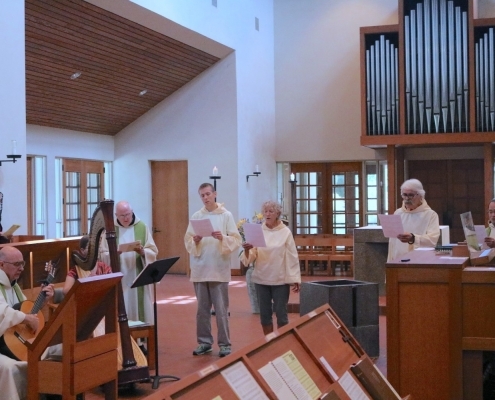 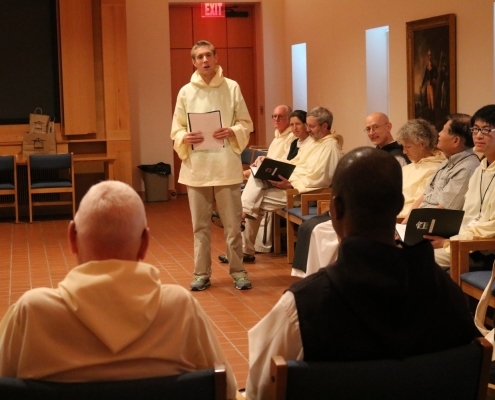 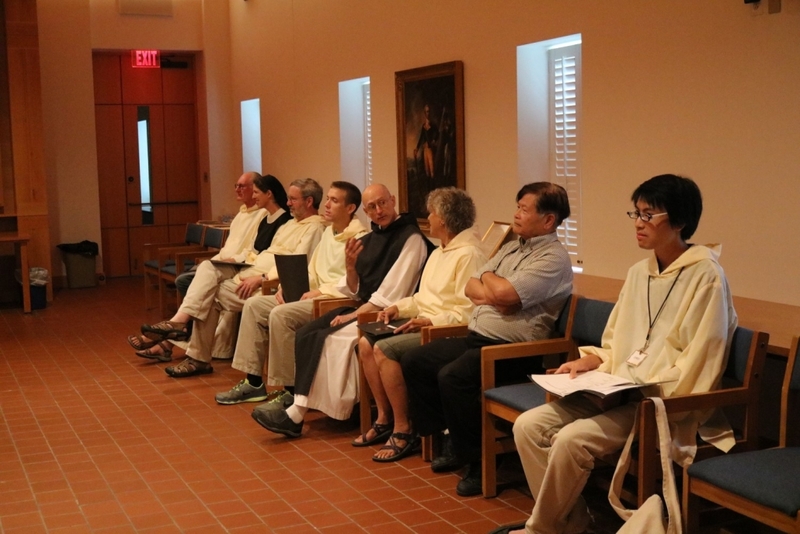 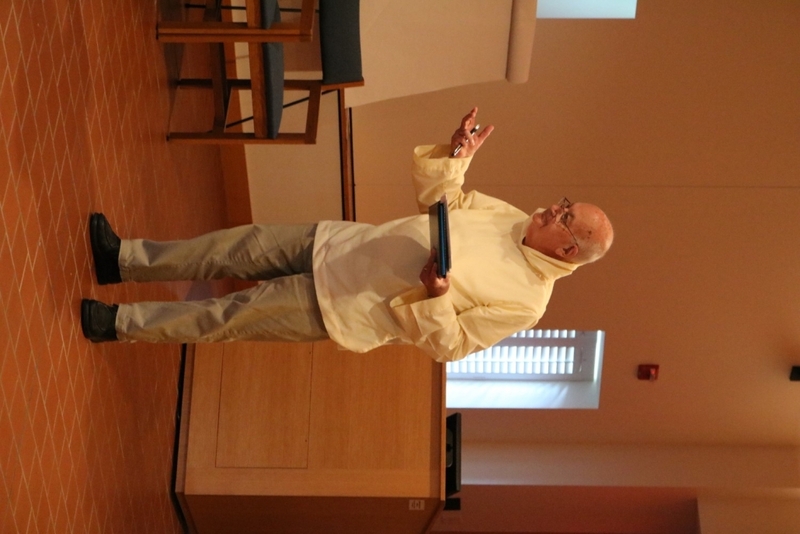 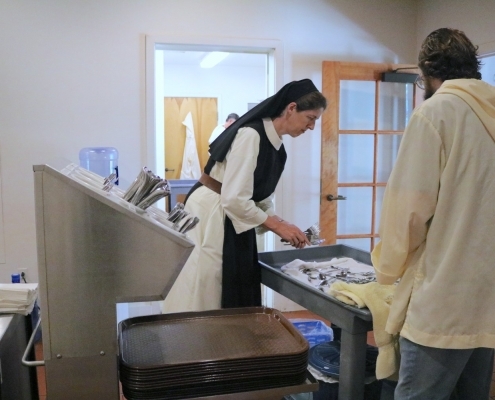 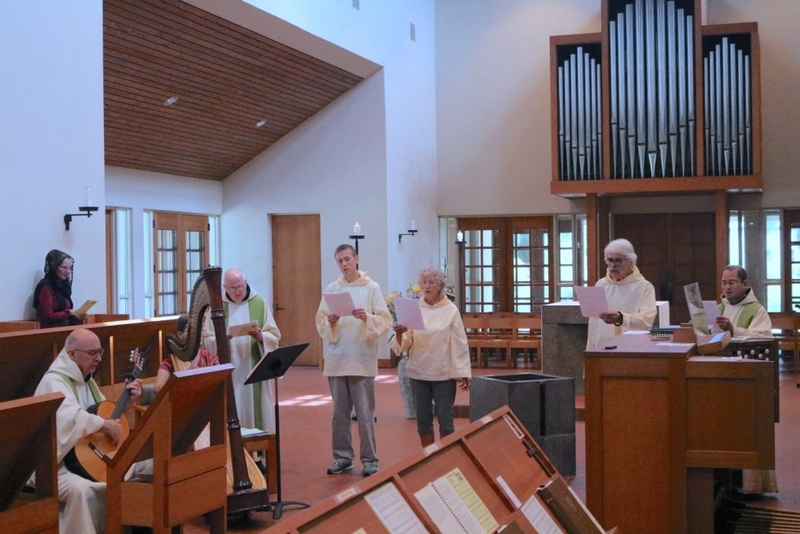 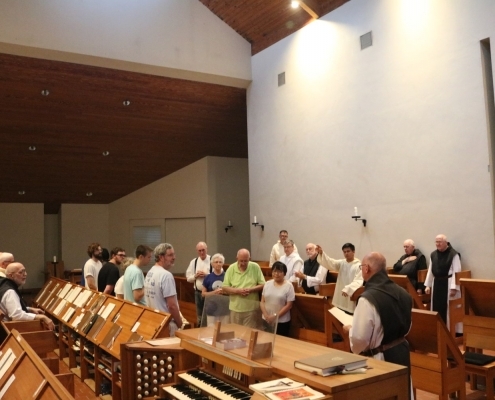 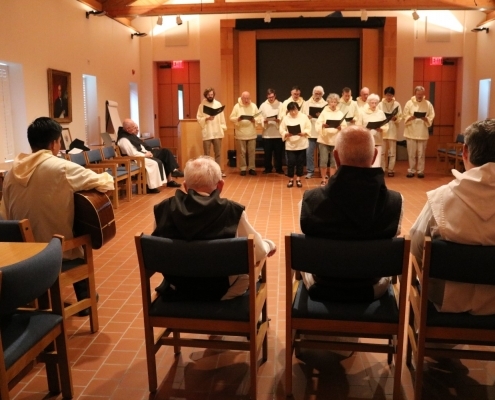 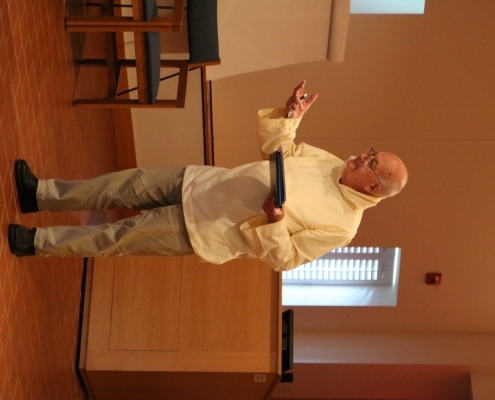 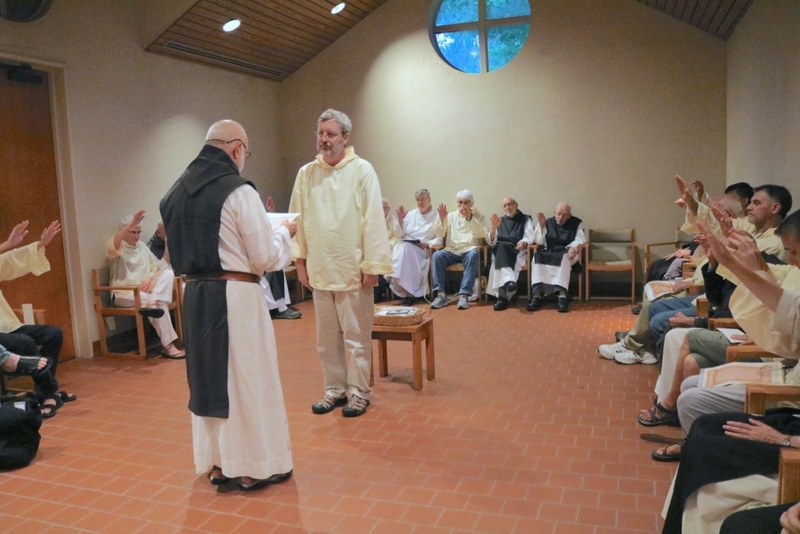 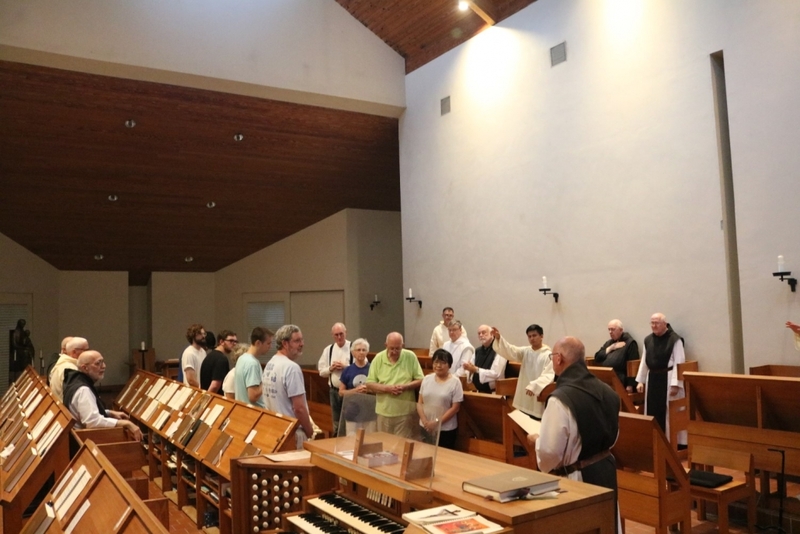 The final week of the Monastic Institute was a very full one for the participants. 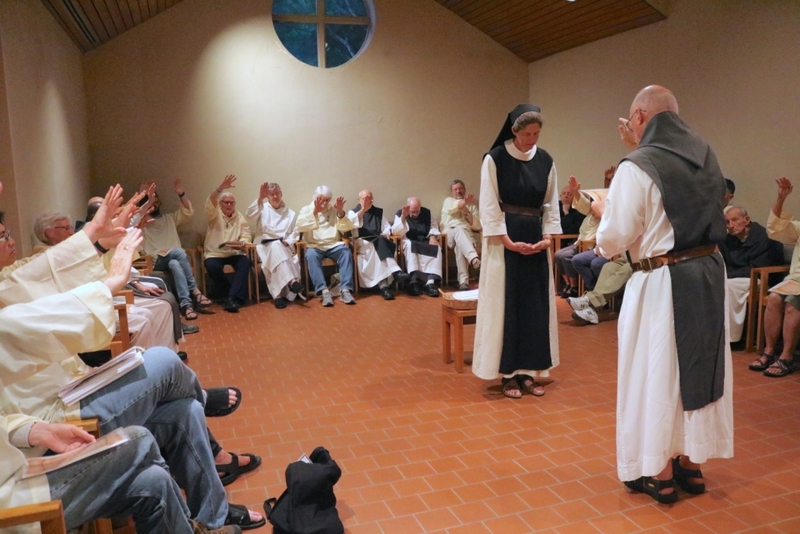 The lectures with Mother Rebekka continued. 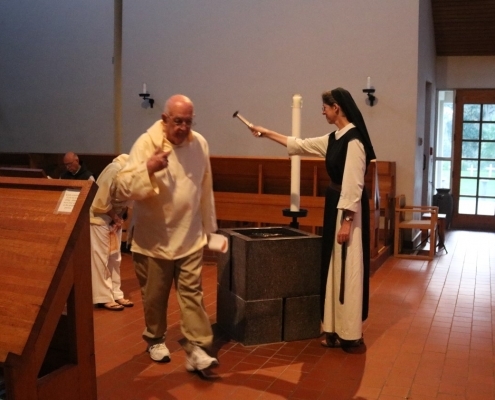 She dealt with the freedom of obedience, the art of loving, solitude and communion, fraternal love, and Christ in us. 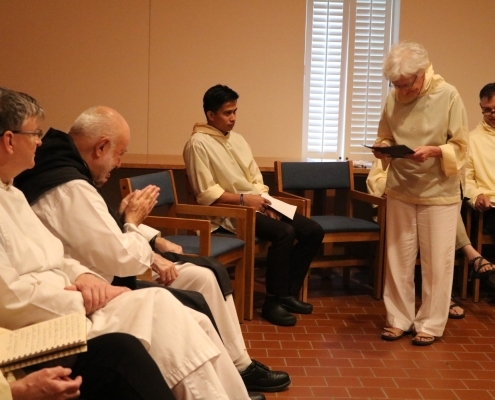 Her lectures came from a very deep place of spirituality within herself and were very well received. 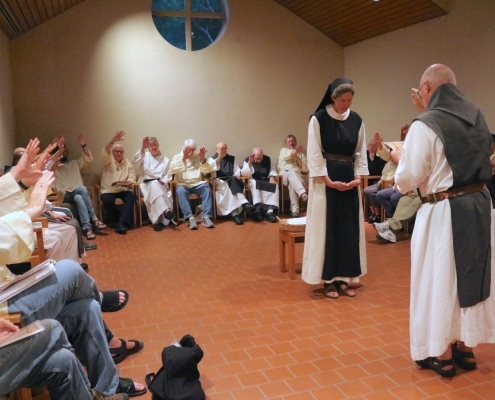 Like Father Luke, she has a tremendous knowledge of monastic life, and her scholarship in the area of Cistercian knowledge was impressive. 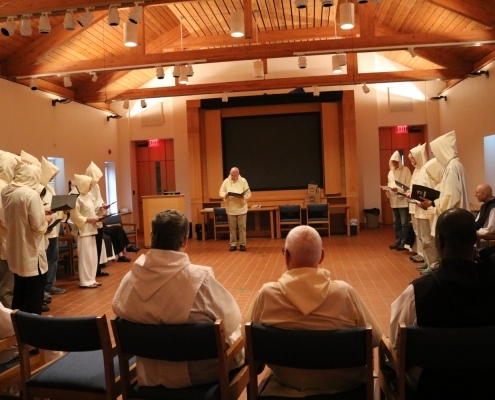 As the Institute reached its conclusion on Saturday, July 28th, a very moving meeting was held in the Chapter room. 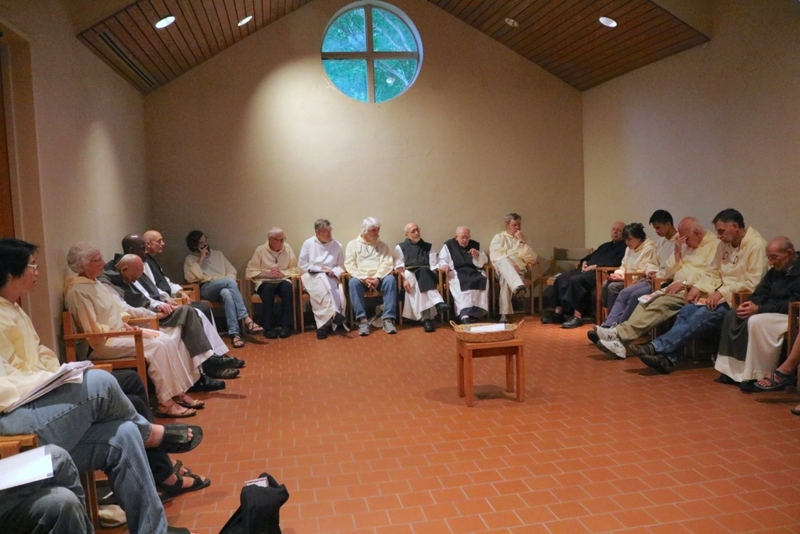 Each of the participants in the Institute had been invited by Father Guerric to write a letter to themselves about their experiences. 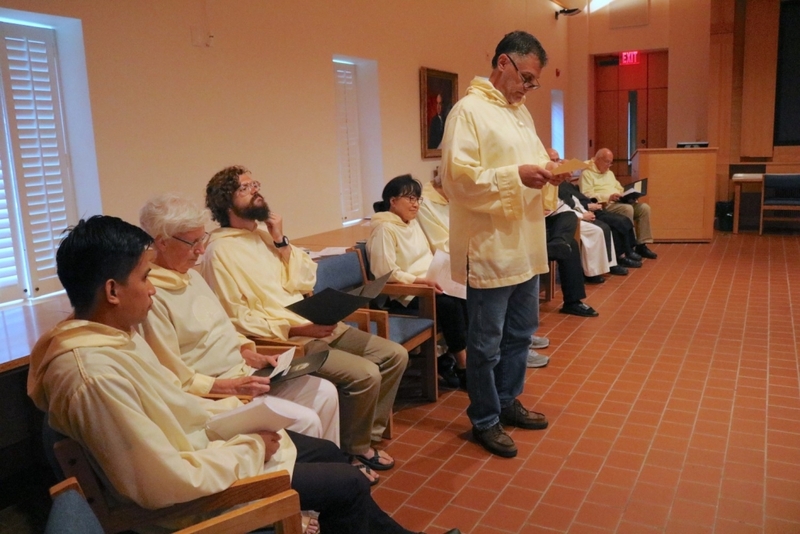 In this letter, the members were to elaborate three takeaways with which they could continue to apply all they had learned during their month at Mepkin. 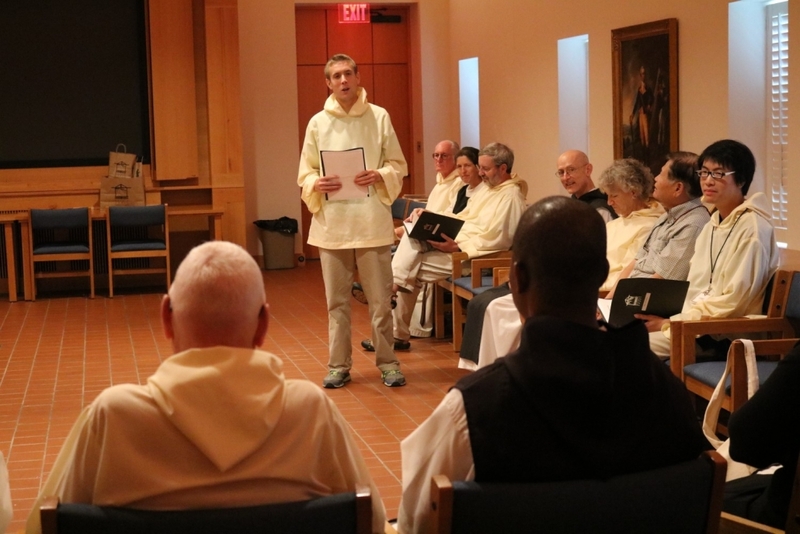 The letters will be sent home to the writers a month from now as an encouragement to remain motivated. 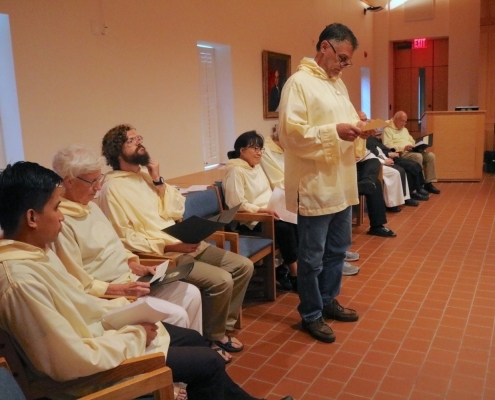 Each participant read his or her letter aloud to the group and then received a special individual blessing from the group leaders. 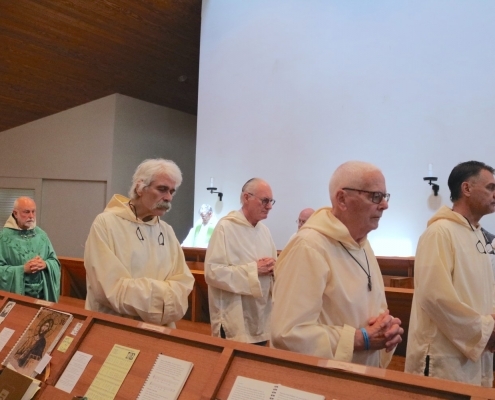 The four group leaders were Father Guerric, Father Gerard Jonas, Father Joe, and Father Columba. 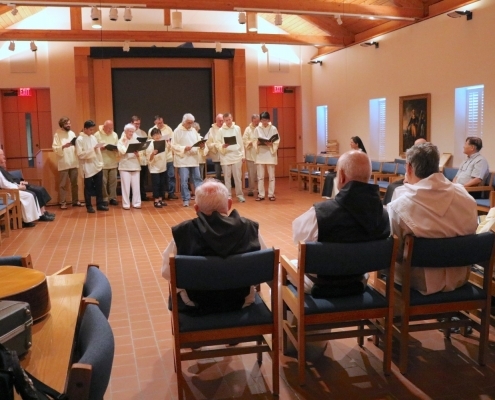 On the evening of Sunday, July 29th, the Institute members entertained the monks with music, which was very enjoyable. 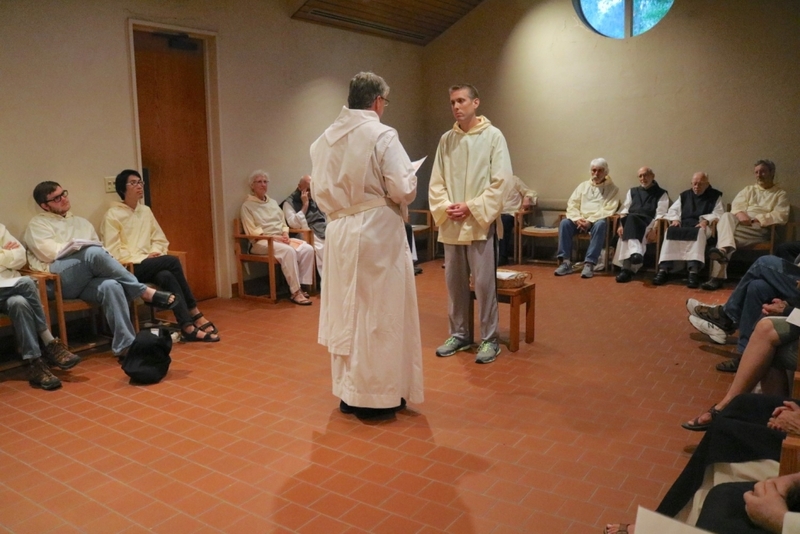 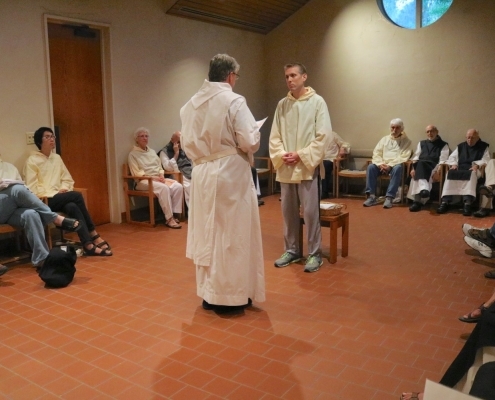 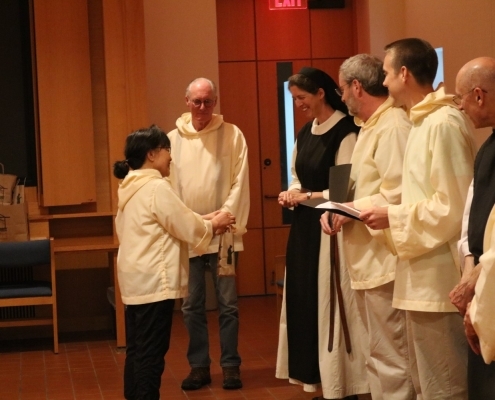 All then proceeded to the Oratory, where each of the participants took off their monastic garb, signifying the end of the Institute for them the next day with the return to their regular lives. 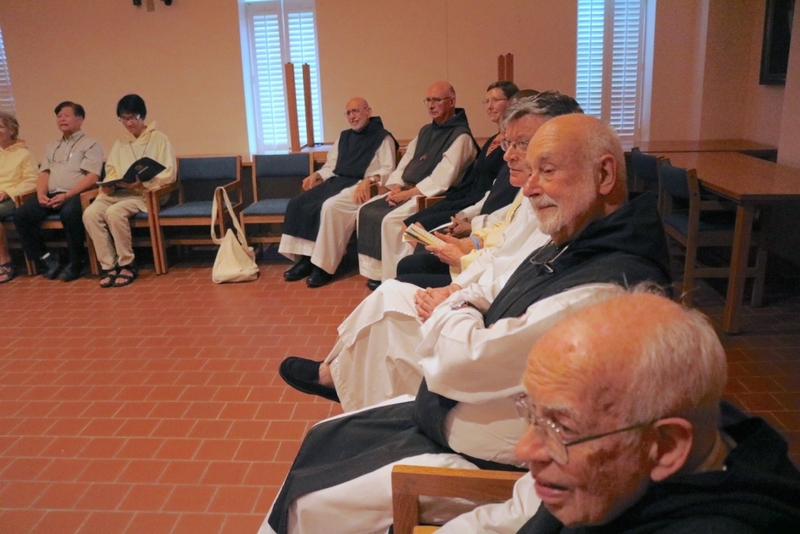 Four members of the Institute, Chris, John, Joe, and Roger are continuing on into the one-year Monastic Residency Program. 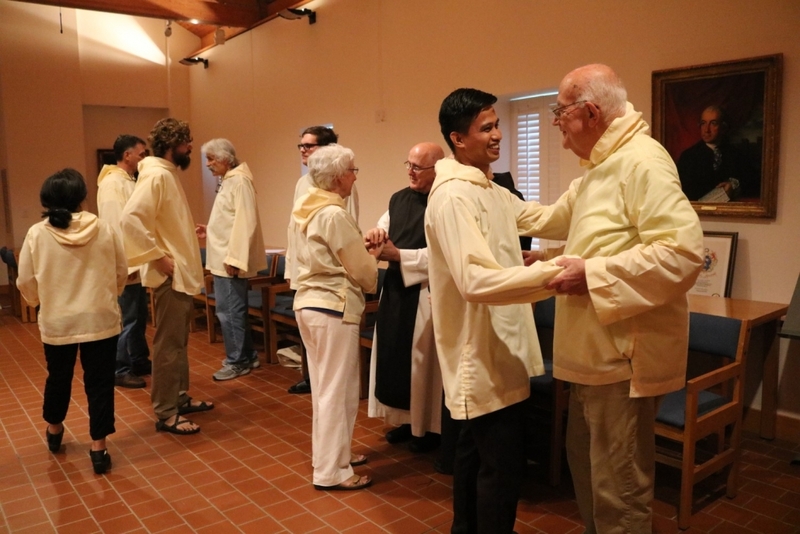 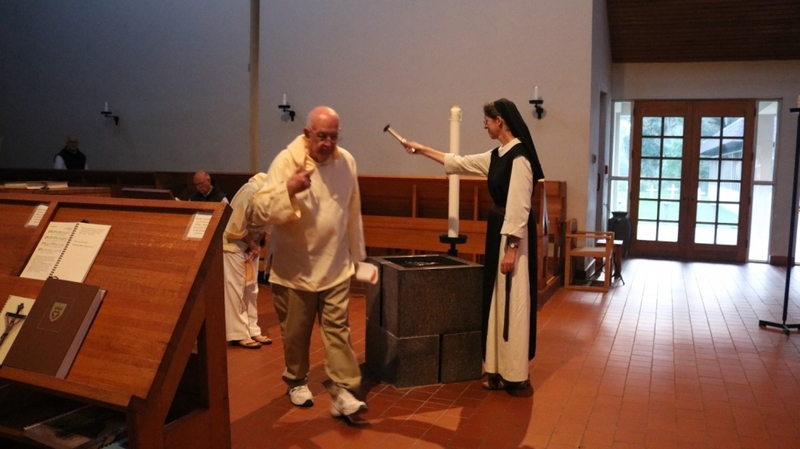 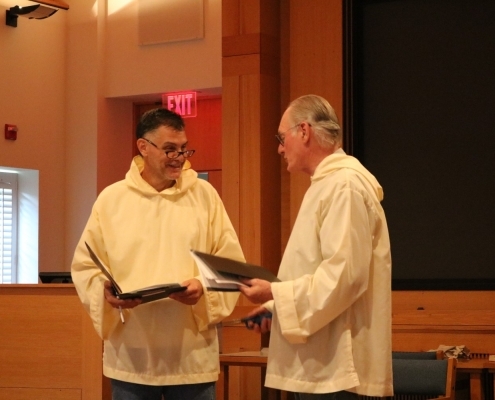 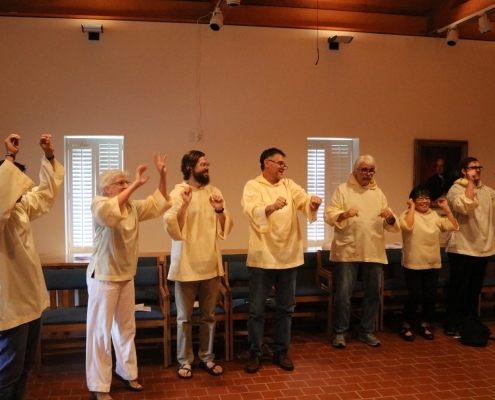 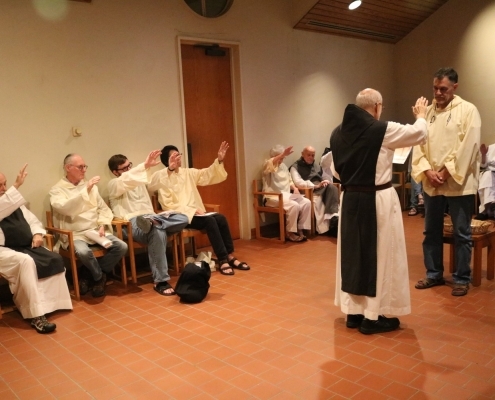 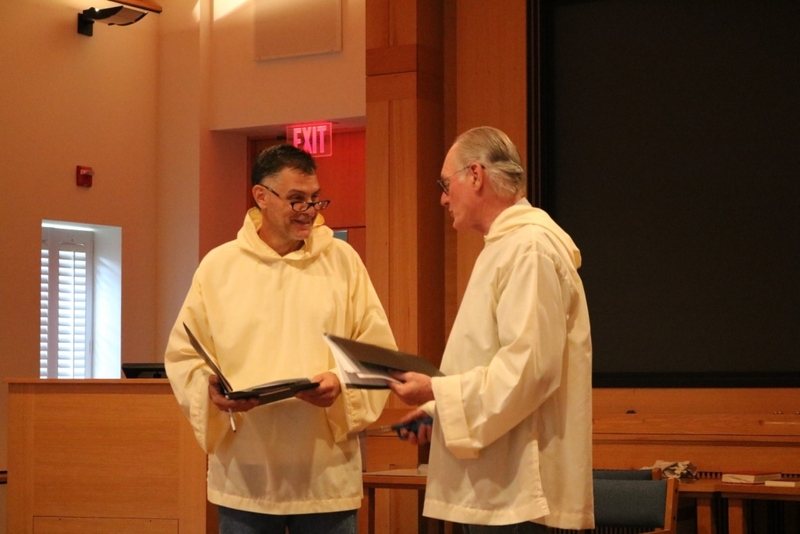 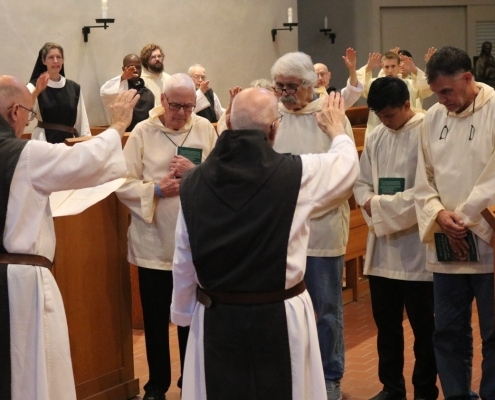 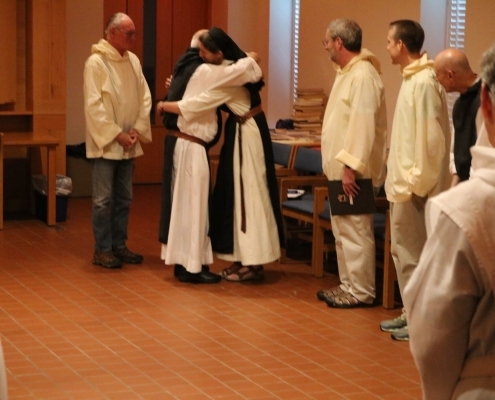 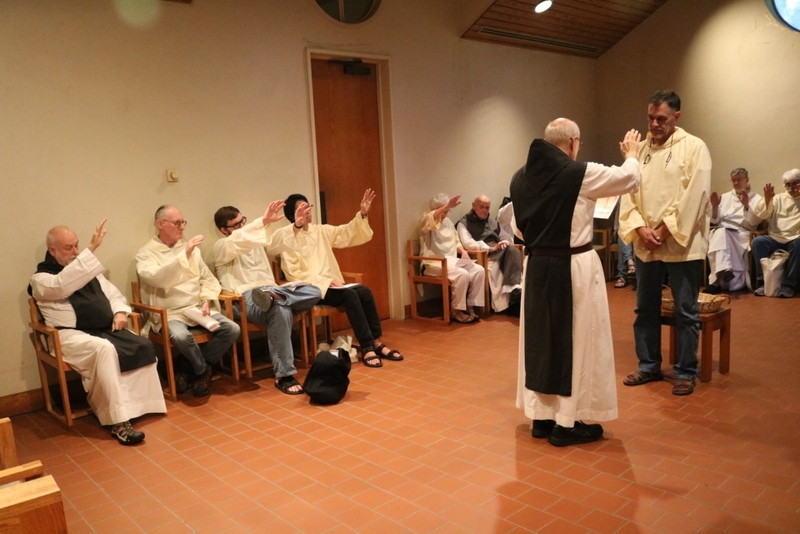 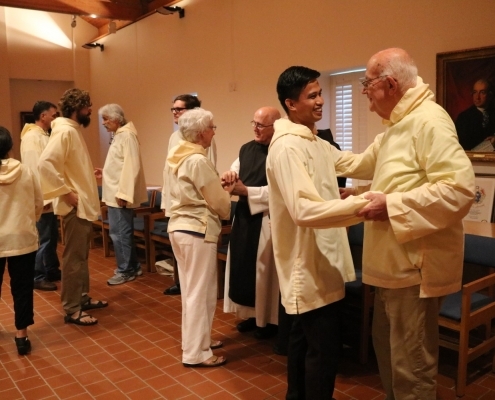 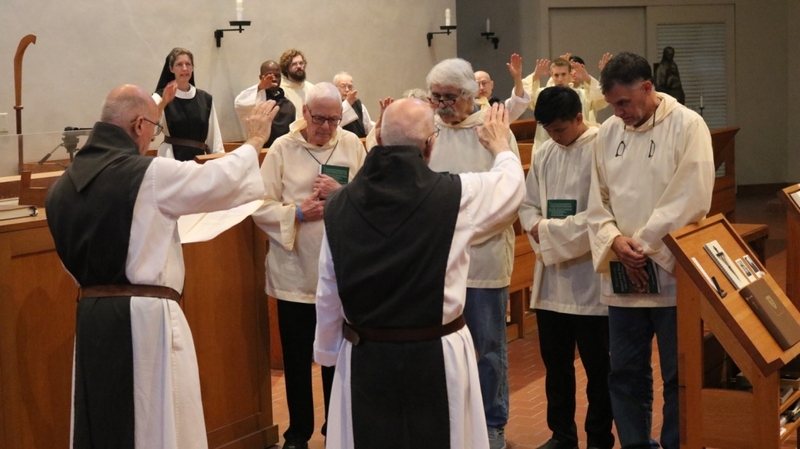 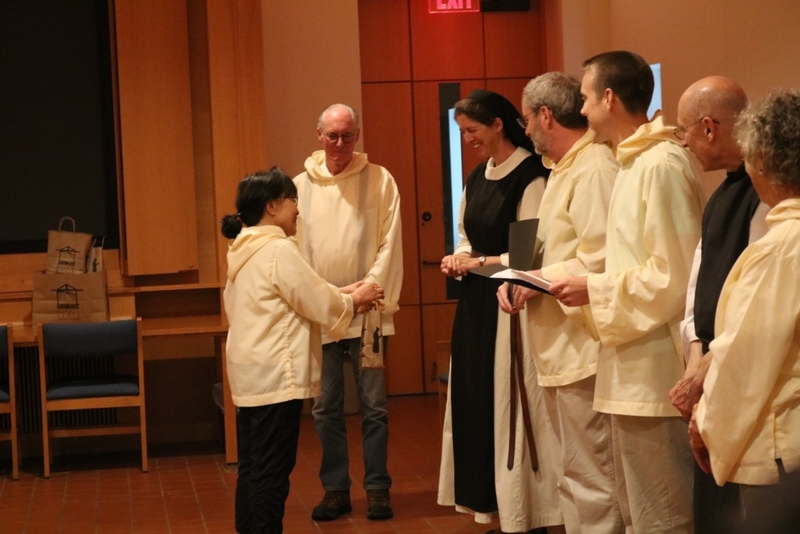 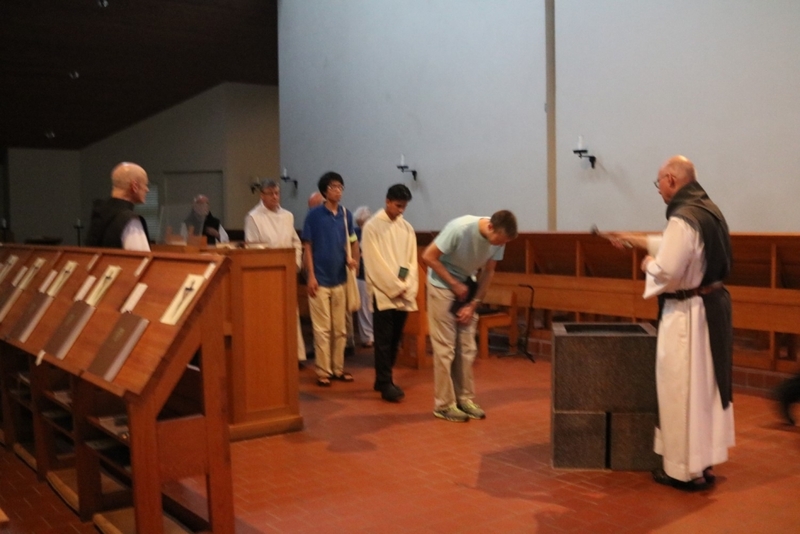 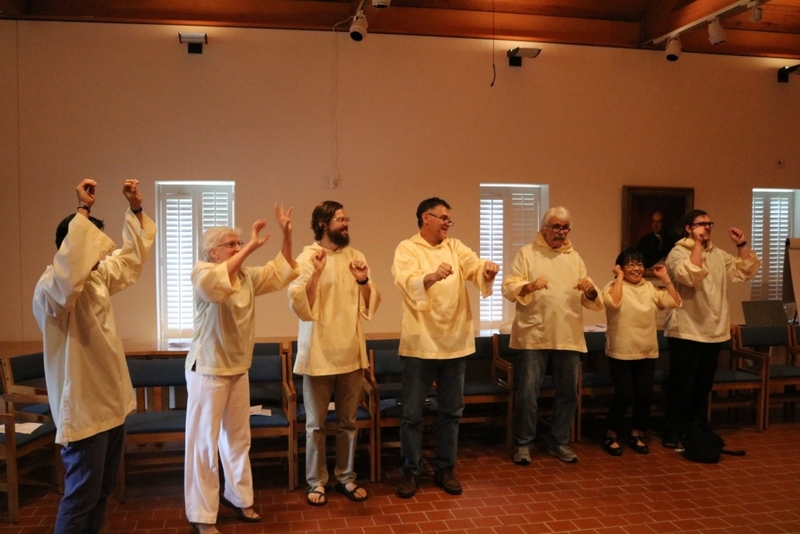 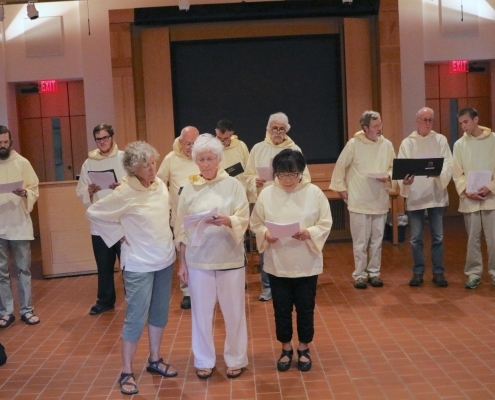 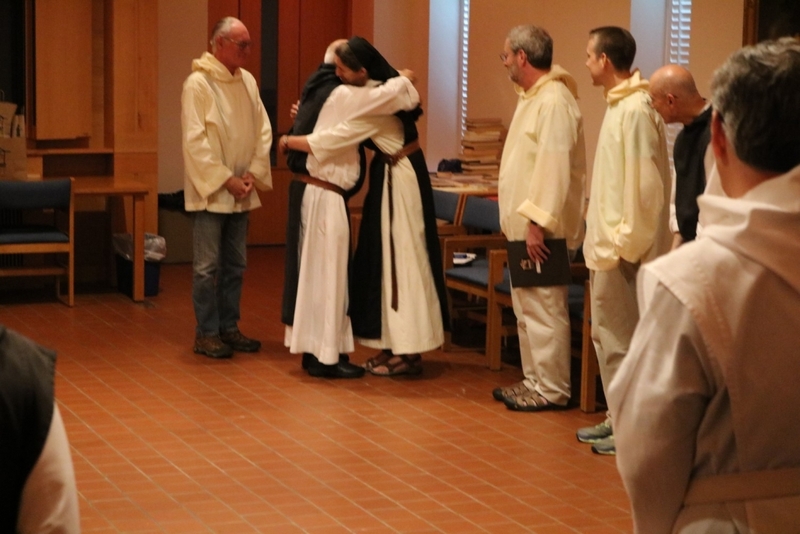 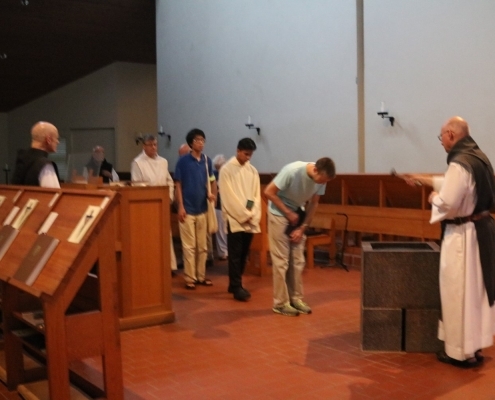 They did not remove their monastic garb, and while still wearing it, they were introduced by Father Joe and then received a special blessing from the abbot. 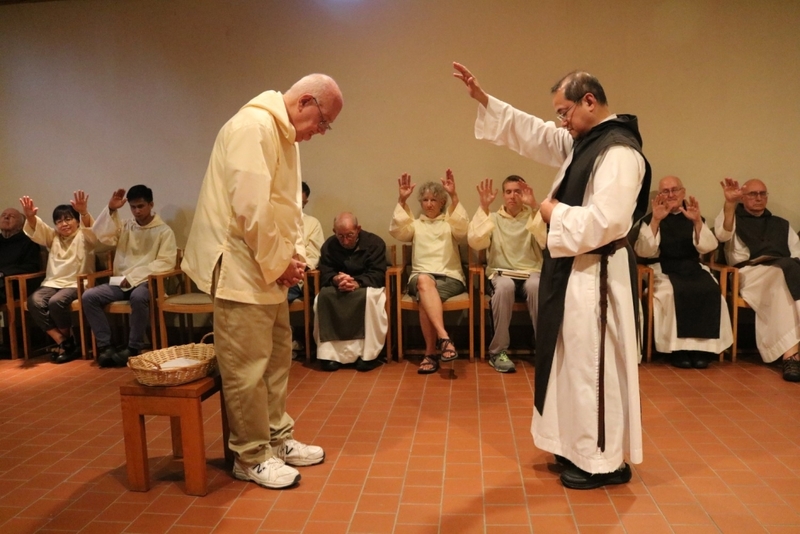 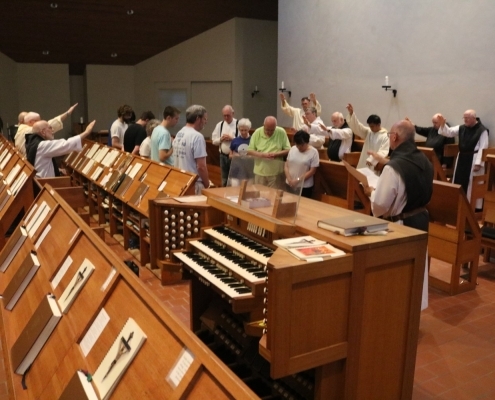 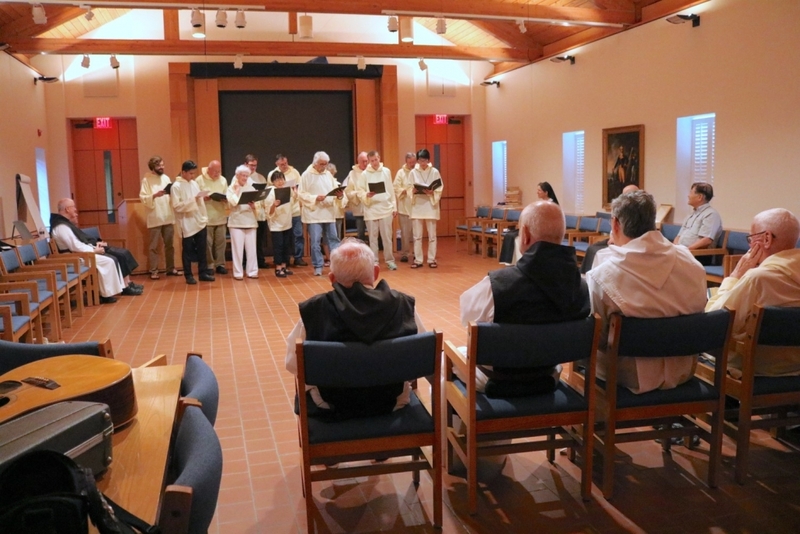 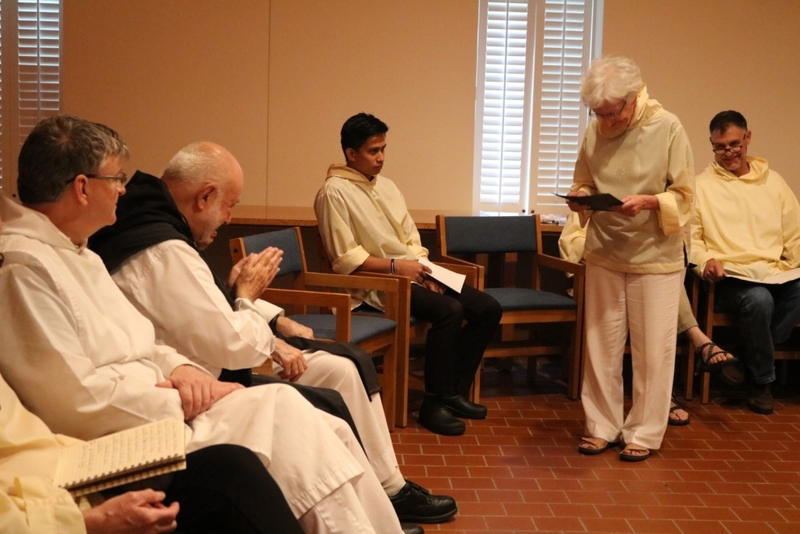 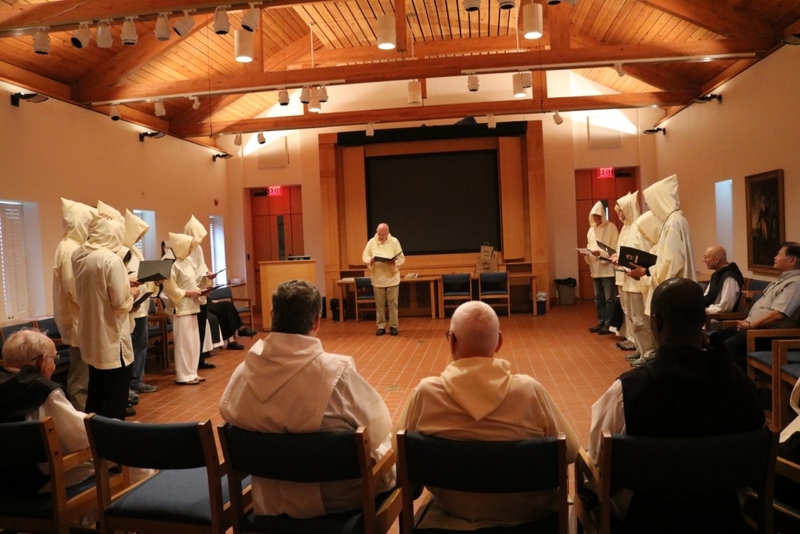 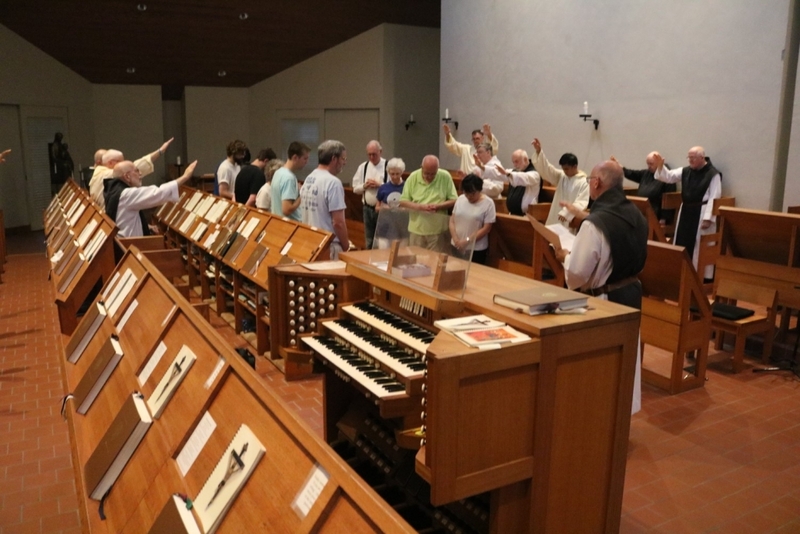 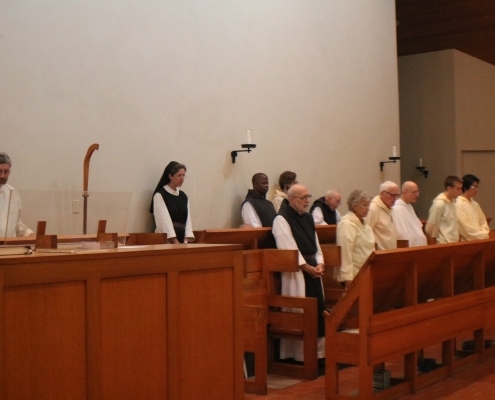 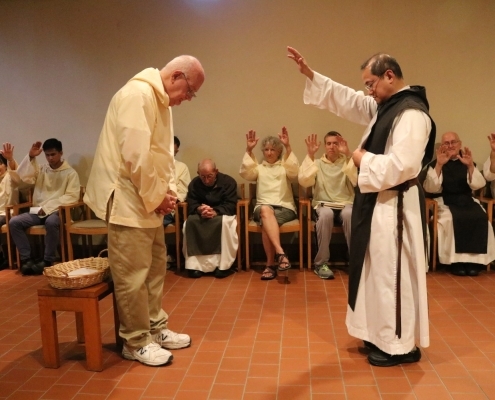 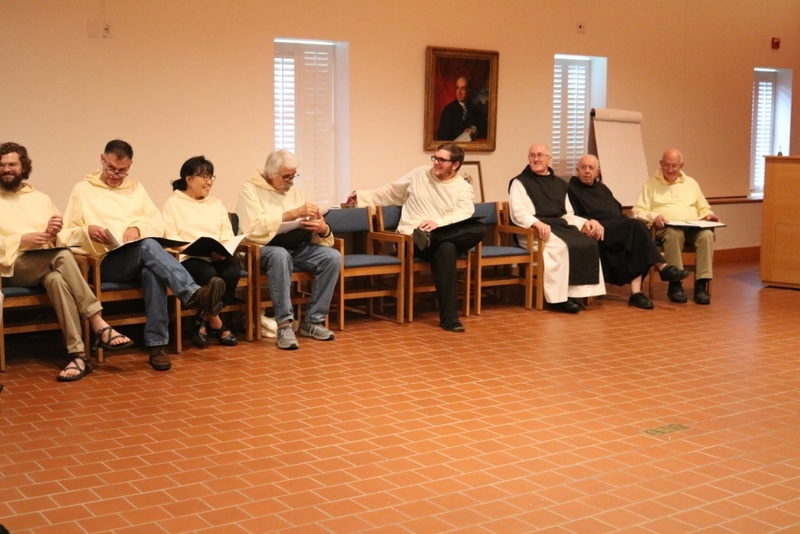 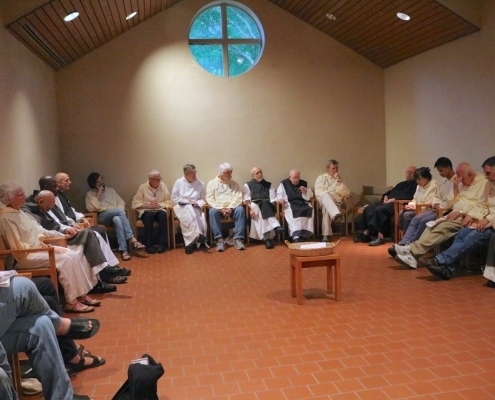 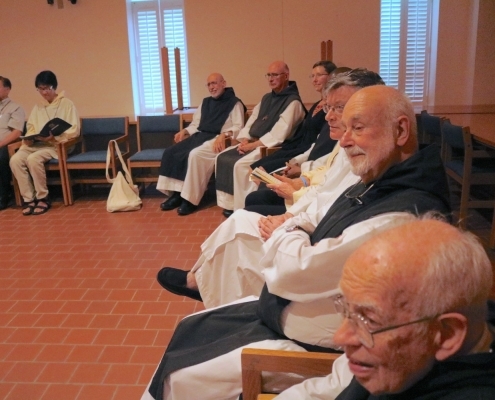 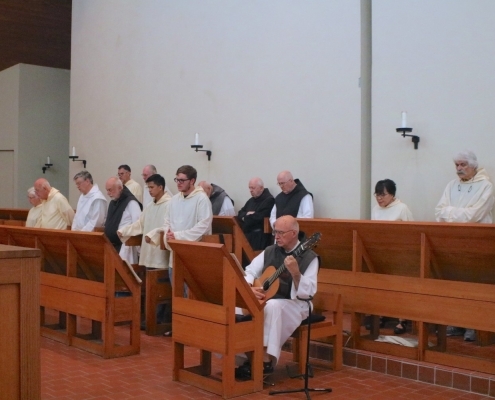 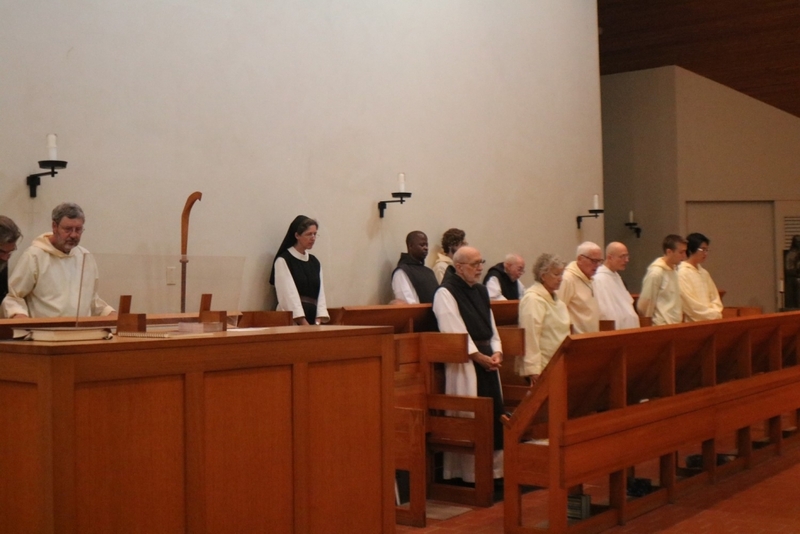 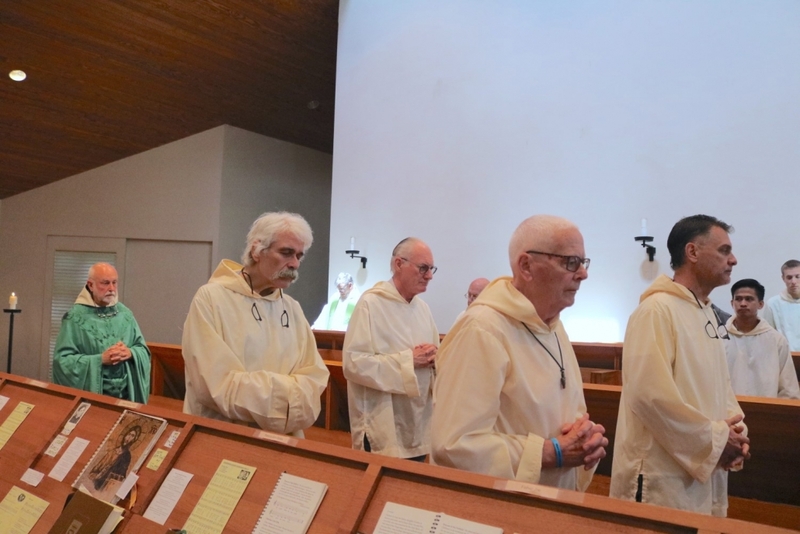 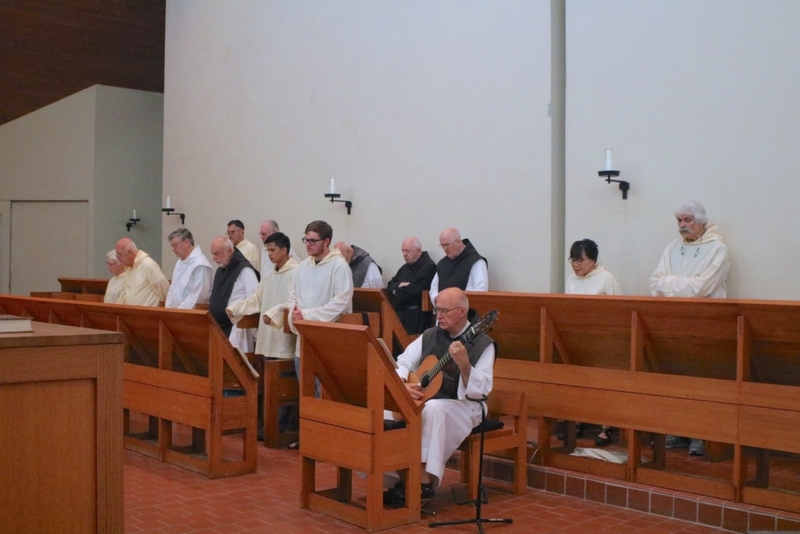 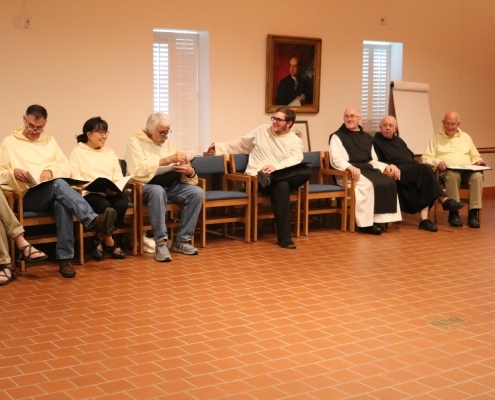 Thus ended the inaugural Monastic Institute, in a spirit of celebration and fraternity.